I can't keep up with all the outrage thee days. 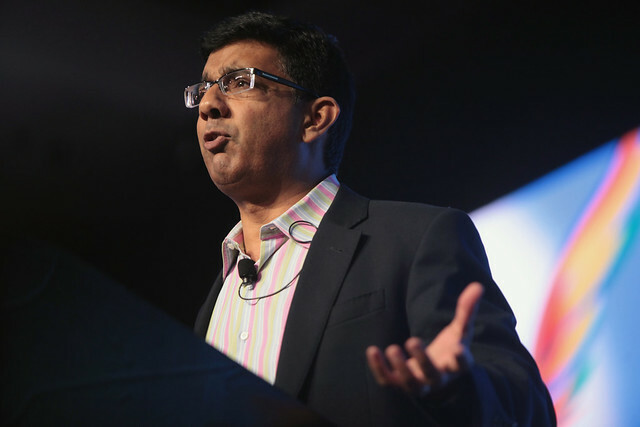 Just as I was trying to figure out who Samantha Bee was and why it was such a big deal that she used a Scottish term of endearment to describe Ivanka Trump, news dropped that President Trump decided to pardon Christian extremist Dinesh D'Souza. I found something interesting about the outrage around the presidential pardon. Unlike some outrage, the source of this particular outrage tended to be expressed very clearly. It indicated, people said, a total lack of accountability. I think they are right. This is a problem. Many evangelical fundamentalist Christians believe they have a "personal relationship" with someone who might have lived over 2,000 years ago and who is now somehow their "savior." These people think that this Jesus figure will absolve their sins in exchange for their belief in him. Their faith, in other words, is the path to their salvation. But much like a presidential pardon, this seems to seriously undermine personal responsibility for one's actions. Isn't this precisely what leads so many atheists to say that the deathbed conversion reflects a flawed form of morality? The classic scenario is one in which a "bad hombre" who has committed all sorts of awful crimes has a revelation shortly before he dies, embraces Jesus, and is forgiven of everything. This guy ends up in heaven while others who have committed no crimes but do not share his Jesus-belief get to roast in Christian hell forever. And this, we are told over and over again, is far superior to any form of secular morality. When a president we don't like pardons someone we don't like, we are outraged. We are outraged because it looks like someone is getting away with whatever they did. This impression is accurate because this is exactly what is happening. And because we are used to seeing people who are probably guilty escape punishment, this pisses us off. After all, this was one of the rare cases where the guilty party was facing punishment. The pardon undoes all that. Perhaps our reaction to the absurd doctrine of sin and salvation should be similar. Who does this Jesus person think he is to interfere with justice by letting a genuinely bad person off the hook simply because he or she decides to worship him? Of course, it is much harder to be outraged about something so likely to be fictional. But if this Jesus actually existed, I think he might have some explaining to do.